Need a permit, license or inspection? You can do this through CityView. 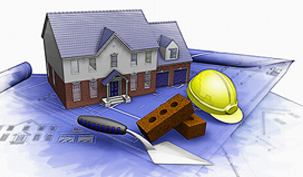 Your development must be approved before your building permit will be issued. A development permit is your formal permission from the City of Leduc to begin construction, demolition, addition or renovation on your property. This includes new buildings, additions, change in use or intensity of use of land or buildings, signage on buildings or on private land. When you obtain a development permit, you're assured that your development complies with the rules and regulations of the Land Use Bylaw. Not all proposed development requires the issuance of a development permit. Smaller sheds, fences and some decks may be exempt from a development permit. Contact Planning & Development at 780-980-7124 or planning@leduc.ca to find ot if you would like clarification. Be signed by the registered owner or their agent, where a person other than the owner is authorized by the owner to make application. State the proposed use or occupancy of all parts of the land and building and other information required by the development officer. Contain accurate up-to-date information on the application. Once you have applied for a development permit, your application will be reviewed by the development officer and possibly circulated for review to other city departments and to external agencies for comments and advice. You will be informed of any concerns or specific needs. Once these concerns are resolved and the proposed development meets the regulations of the Land Use Bylaw, your permit will be issued. Your permit may be issued subject to conditions specific for your development. Does a development permit expire? The applicant advises the Development Authority within 30 days prior to the expiry of the 12 month period that the applicant desires an extension. The Development Authority grants an extension. The Development Authority may grant up to a 6 month extension to commence development. I need more time. Once development has commenced and it won't be completed within 24 months, can I get an extension? An extension can be granted if the applicant applies for and obtains the extension from the Development Authority before the end of the 24 month period. The Development Authority requires security in the form of an irrevocable Letter of Credit, or cash security in the amount of $10,000. The security will be released upon a final building inspection conducted by the city’s Safety Codes Officer.